 The Item are shipped from China. We sell reasonable prices and exquisite products. If you have any questions, please feel free to contact us and we will be glad to help you solve the problem. And hope you enjoy shopping! Pattern: Backpacks .❀Quantity: 1 PC ,❀Size:24*19*39 CM.❀Material:Nylon.❀ As Picture Show Color . COMPACT YET SPACIOUS SLING BAG FOR MEN / WOMEN / COLLEGE STUDENT CINHENT - Versatile unisex backpack with room for all your essentials - perfect for daily use or as carry on luggage.Fashion double-shoulder girl or boys splice schoolbag, large-capacity wild casual packages handbags casual outdoor bags.Suit for traveling,sports, camping,trekking,hiking,climbing.Funny personalized mini patchwork teenages packages two handle / straps zipper bags.One breathable daily bags suits all seasons. 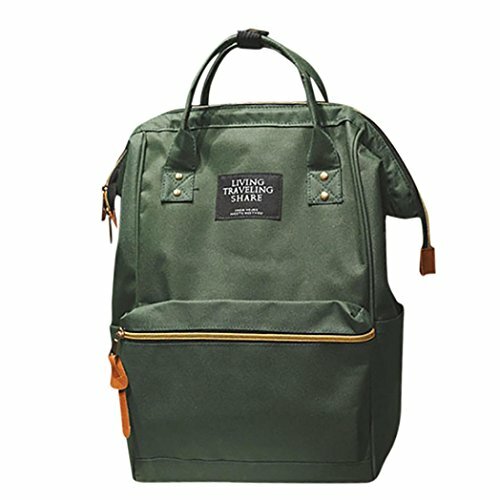 If you have any questions about this product by Cinhent Backpacks, contact us by completing and submitting the form below. If you are looking for a specif part number, please include it with your message.